VWVortex.com - SMT-6 Additional Injector fueling setup? SMT-6 Additional Injector fueling setup? Thread: SMT-6 Additional Injector fueling setup? 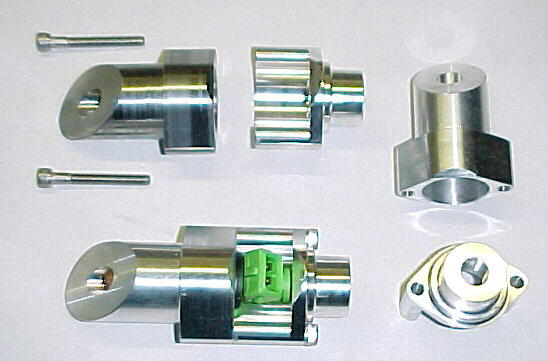 I am going to use Kinetics AIC piece before my throttle body with two 42# injectors. The problem I am running into is the amount of room I have for the fueling setup. Not very much room even after I moved the ECU wiring harness out of the way. I was looking at using the CNC'd injector bosses from SDS, top hat only, because they are quite short. According to SDS's website "The tops are threaded for 1/8 NPT fitting" this size threading sounds a little small for a fuel line. Looking for suggestions on how to tie into my existing fuel line? Size and type of recommended fuel line? How to tie onto the injectors themselves? the additional injector doesnt need to be right by the throttle body , it can be upto 10 inches away as long as you have a good atomization angle. On hindsight I might have done as you suggested except this is a really clean install. Any suggestions on how to do the fuel lines to these injectors? I guess I could mill out a TB adaptor plate to add some injectors after the TB. No, I'm stubborn! I plan on still using the Kinetics piece. What I am really looking for is suggestions on how to hook up fuel lines to the injectors.